Sports Illustrated Inspiration of the Year: US women's national team: The unyielding U.S. women’s soccer team didn’t just win the World Cup: It captivated a nation. It makes me mad that people do not treat girls equally. Plus a lot of girls are better at sports than boys. So all I am saying is that I would like to do something about it. And I need your help. 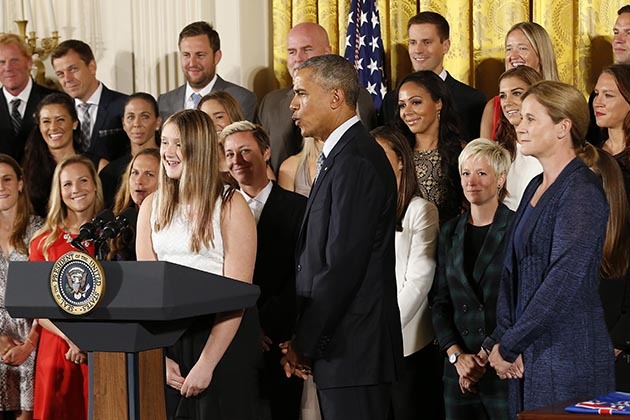 On Oct. 23, Ayla received a call from the White House: Would she like to introduce the President and the U.S. women's team when he honored them for winning the World Cup? And so four days later she visited Washington for the first time, met the President, Vice President Joe Biden and Morgan, who gave her a hug, then the seventh-grader delivered her well-rehearsed introduction in the East Room. "They were so nice," says Ayla, who still can't quite believe it all happened. "And the President is, like, awesome." "I don't know where your brother is right now, but this is some payback right here," Obama said with a smile. "Nothing gives me more hope than knowing that we've got a whole generation of young women like Ayla ready to take the world by storm." He then shifted his attention to the group of women standing behind her. 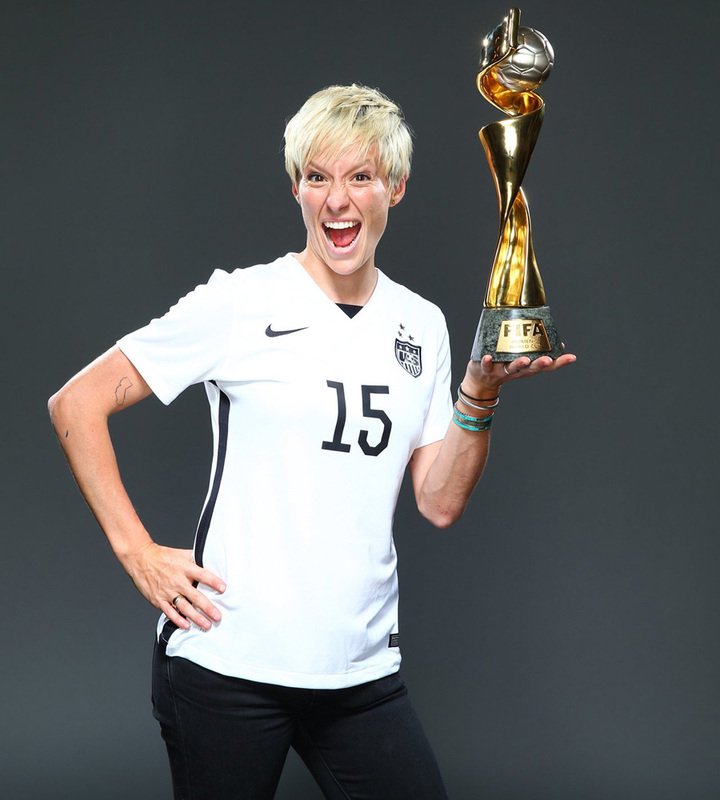 "This team taught all of America's children that 'playing like a girl' means you're a badass." 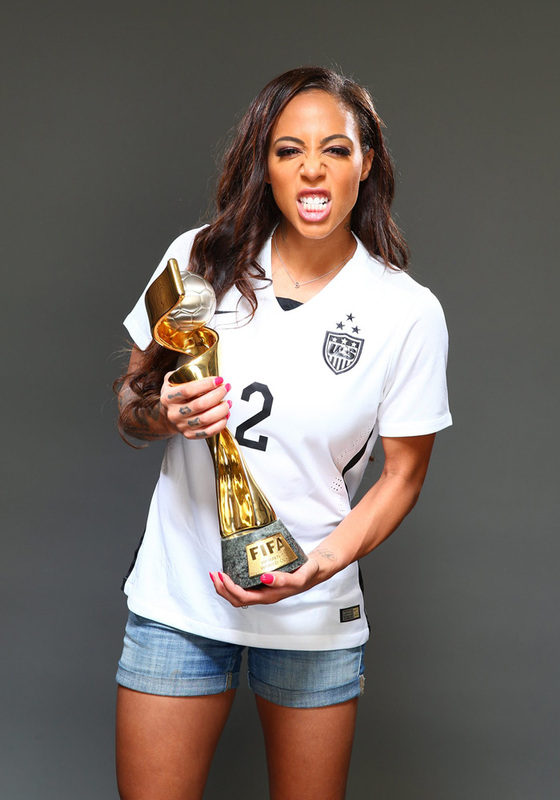 In the Badass Power Rankings of 2015 these U.S. women were at the top: Abby Wambach, the indomitable forward who struck fear in defenders and won the first World Cup of her storied career; Becky Sauerbrunn, the back line rock whose flawless positioning kept attackers at bay; and Carli Lloyd, the relentless midfielder who capped her 16-minute hat trick in the final with a goal launched from the halfway line. 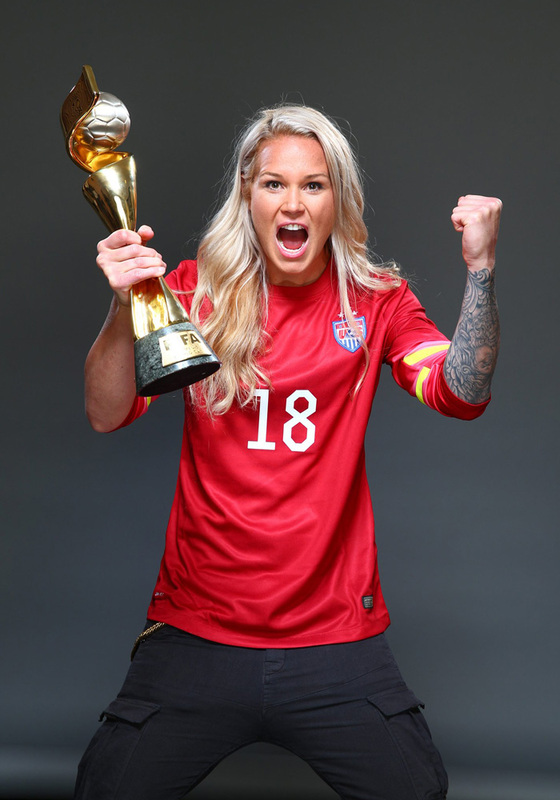 Megan Rapinoe, Lauren Holiday, Julie Johnston, Hope Solo and the rest: These Americans didn't just win the World Cup with their 5--2 victory over Japan in Vancouver. They seized the trophy with an explosion of skill and an utter lack of mercy, and they made no apologies for it. That's what badasses do. The U.S. women's soccer team is Sports Illustrated's Inspiration of the Year not only because it raised the World Cup, the nation's third, for the first time since 1999. Inspiration requires more than victories. It demands a connection, an ineffable, even spiritual bond between special protagonists and a public enchanted by their charisma and drive. There's a purity in that relationship that sports can provide on rare occasions, especially when national pride is involved, and even more so in team sports, when collective achievement transcends individual accolades. Inspiration does not equal perfection, and it's better that way. More human. This U.S. team struggled to find its offensive rhythm for the first four games in Canada, and Jill Ellis heard the kind of criticism that any coach in any sport hears when performance fails to match expectations. But then Ellis executed her masterstroke, moving Lloyd higher up the field for the quarterfinal against China. The attack was reborn. 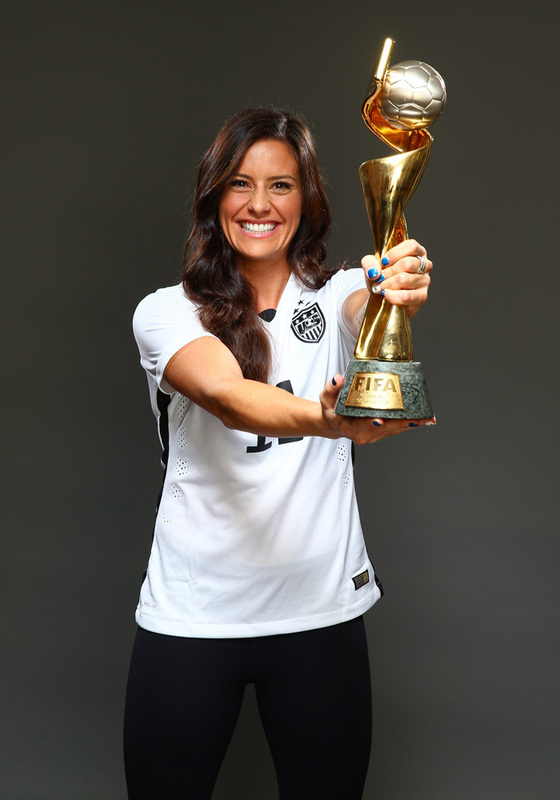 The U.S. played its best games against its toughest foes, Germany and Japan, and Lloyd rebounded from a brutal group stage ("I was not in a good place the first three games," she said), scoring six goals in the four knockout-round matches and etching her place in U.S. sporting history. She revealed her better self in that transformation. She connected with us. So did this team. Inspiration reaches many. A U.S. television audience of 27 million saw the Women's World Cup final, the largest ever to watch a soccer game in this country. 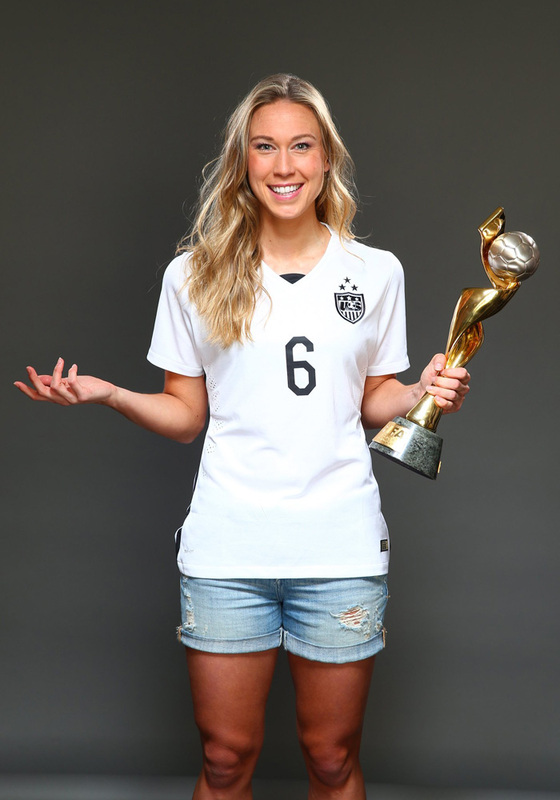 A sport once viewed as "un-American" was the ratings hit of the summer, as Joe and Jane Sixpack peppered their conversations with "Julie is a beast" and "Kling saved it off the line!" 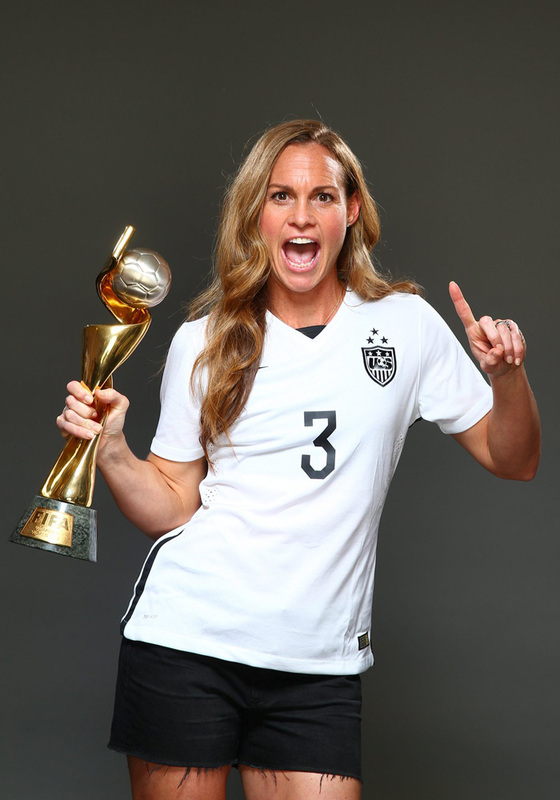 For some, inspiration came from the moms on the team—Shannon Boxx, Christie Rampone and Amy Rodriguez—who continued to play at a world-class level. For others, it came from the members of the team who proudly embodied social change. On the same day the U.S. beat China in the quarterfinals, the Supreme Court ruled that gay marriage was legal nationally, and Wambach and Ellis spoke eloquently about what the ruling meant to them and to their wives. Inspiration is found in inclusion, not exclusion. The Supreme Court decision was meaningful to the straight players on the team too, just as the U.S. women's triumph appealed as much to men and boys as it did to women and girls. 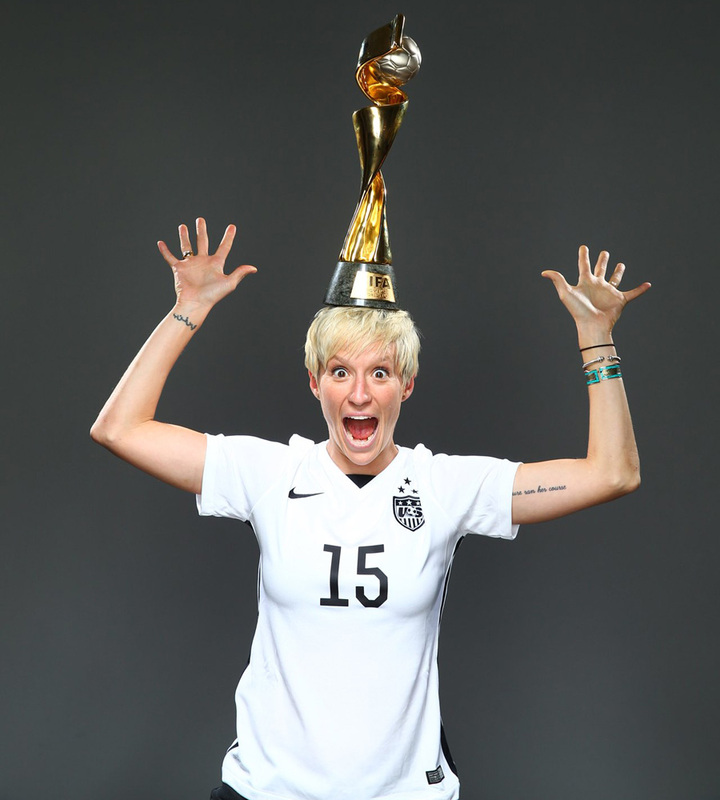 You could see as much in the guys wearing MORGAN and RAPINOE shirts who turned out for the team's ticker tape parade down the Canyon of Heroes in downtown New York City. You could see it in the crowds filling stadiums around the nation for the team's 10-game victory tour. 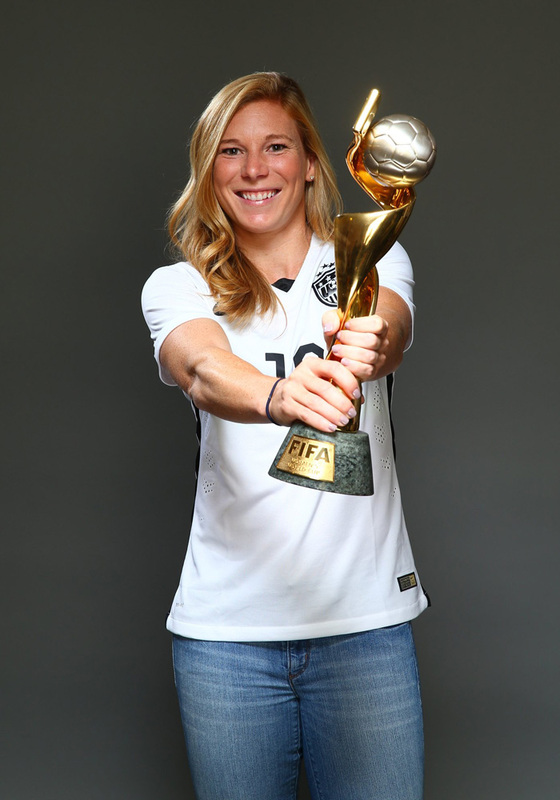 And you could see it in the breakthrough of the U.S. women's team on the popular EA Sports FIFA soccer game. In this, the first year that women's teams were included in the game, the USWNT was the 23rd-most-played outfit around the world out of the 600. Considering the global reach of the video game—and the women's game's secondary status in many countries—that's an astonishing rank. Why, SI was so inspired that it did something unprecedented in its 61-year history, producing 25 covers of the same issue: one for each of the 23 U.S. players, another of Ellis and a group shot. And therein lies another story. Bailey Cook is a 13-year-old goalkeeper in Dallas, Ga., a suburb of Atlanta. 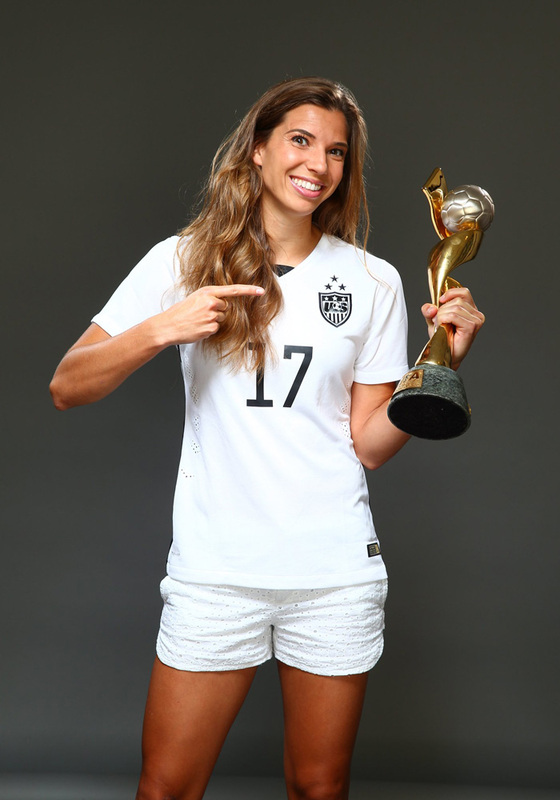 She and her family fell hard for soccer during the men's World Cup in 2014, so she was beyond excited for this year's women's tournament. She printed out brackets and watched all the U.S. games, along with plenty of others. And when her mother, Michelle, told her SI was putting out different covers for all the players—all mixed among newsstand copies nationwide—Bailey decided to go on a scavenger hunt. On the Thursday night the issue hit newsstands, she ventured out with her father, Paige, and bought five different covers. The next day she went shopping with her mother and picked up a few more. The original plan was to buy around 10. "But after we started collecting them, we got a whole bunch," Bailey says, "and my mom was like, We can just collect all of them and hang them up on your wall." By Sunday, after trips to Walmart and Barnes & Noble, Bailey had 17 of the 25 framed and arranged them in a pyramid on her bedroom wall. The Cooks ended up ordering the remaining eight covers online, and Bailey had a complete set. "For my daughter it was kind of a neat thing to see: Look at what these ladies can do," Paige says. 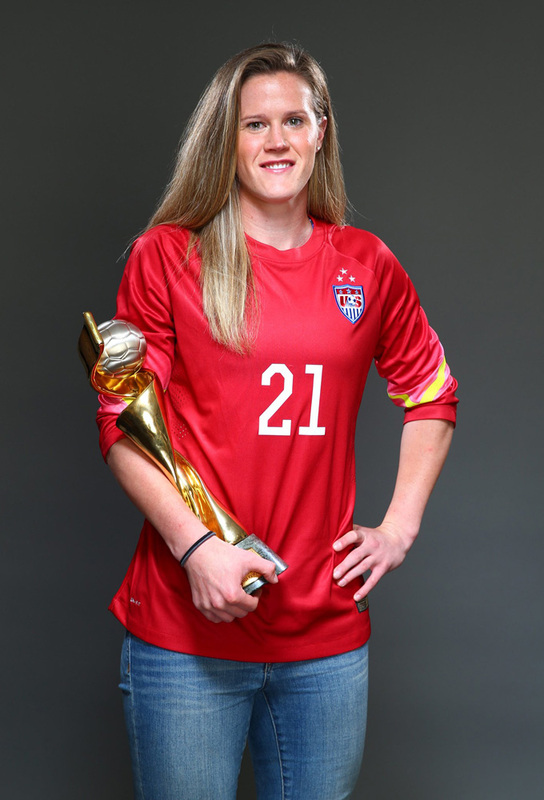 "She's a goalie, so she loves Hope Solo. She got a big inspiration from watching her play. Just being a part of their experience—that was a big thing for her." In September, Bailey took all the covers to Birmingham, where the U.S. was playing Haiti on the victory tour. 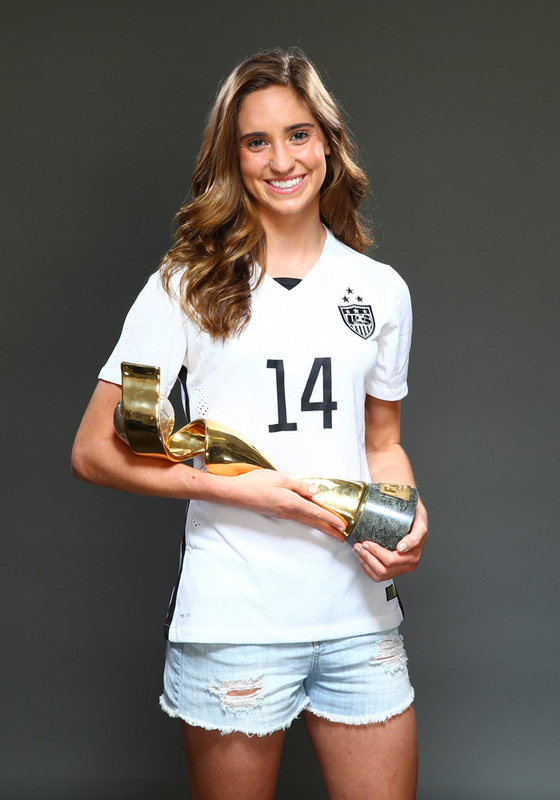 Her father signed her up for a special-access event, and two U.S. players, Meghan Klingenberg and Alyssa Naeher, signed their SI covers for her. 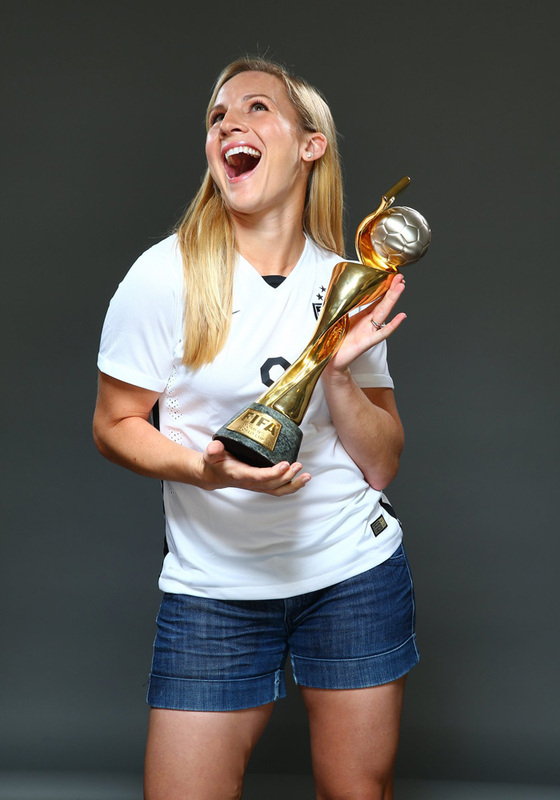 "After Klingenberg signed mine," Bailey says, "she made the same pose for me that's on the magazine." A lifetime memory achieved, Bailey returned home and rehung the covers on her wall, where they remain today, a reminder of the glorious summer of 2015. A national team is the embodiment of a country's best and its brightest. On fields across America, millions of girls and young women play soccer every week. For many of them it's a recreational activity, part of our culture, a good workout with some orange slices and energy drinks afterward. But for many others it's a more serious pursuit, the route to a college scholarship or a professional career or, just maybe, a spot on the national team roster. The previous U.S. World Cup winners, in 1991 and '99, created a culture from scratch. Players such as Mia Hamm, Michelle Akers and Kristine Lilly—pioneers in '91 and the backbone of the '99ers—laid the groundwork and established an unwritten code that values the collective over the individual, the belief that the great teams, the ones the world remembers, far exceed the sum of their parts. The 2015ers faced an even bigger challenge than any of their predecessors: The competition, the rest of the world, is a lot better these days. The pressure from media and fans is at an all-time high too. And yet this U.S. team forged ahead. It got better as the World Cup moved on. It deserved to win. And when the U.S. vanquished Japan, its tormentor four years ago, scoring four goals in the opening 16 minutes, it left 27 million Americans in a state of joyous astonishment. 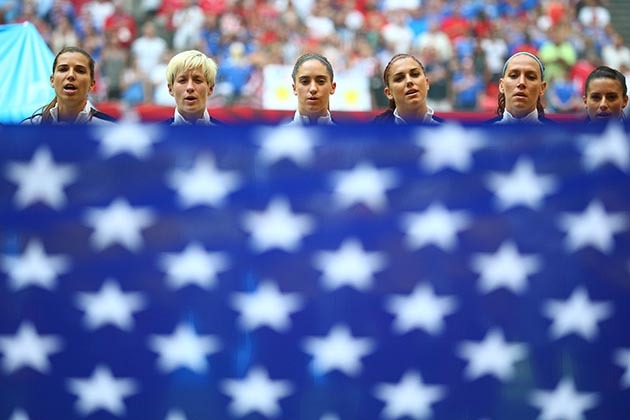 It left 27 million Americans inspired by one badass team.